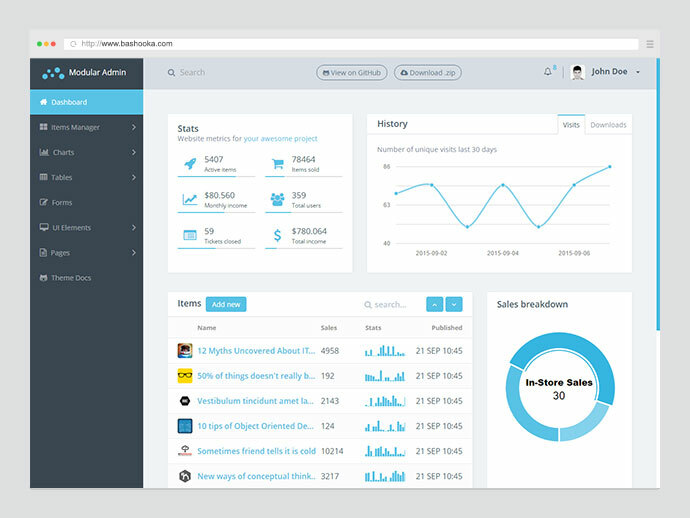 Are you looking for free backend admin dashboard templates for yourself or your clients ? To make your process easier, we have put together a list of useful free resources for you to choose from. 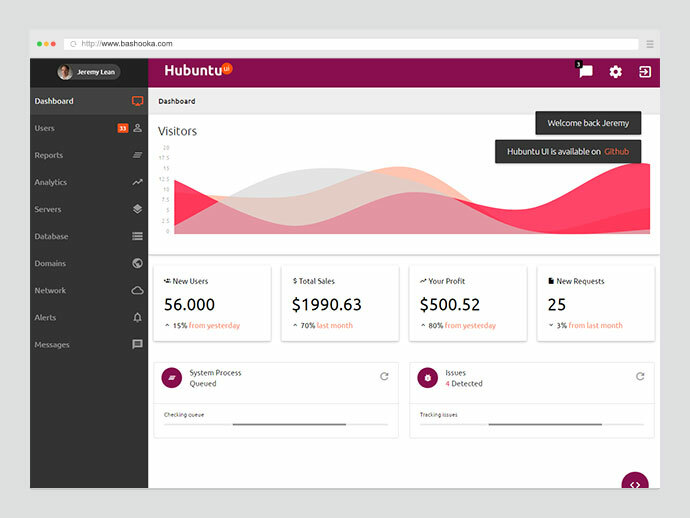 Hubuntu UI is a Material Ubuntu style , very basic , starter template for admin dashboards (materialize.css). 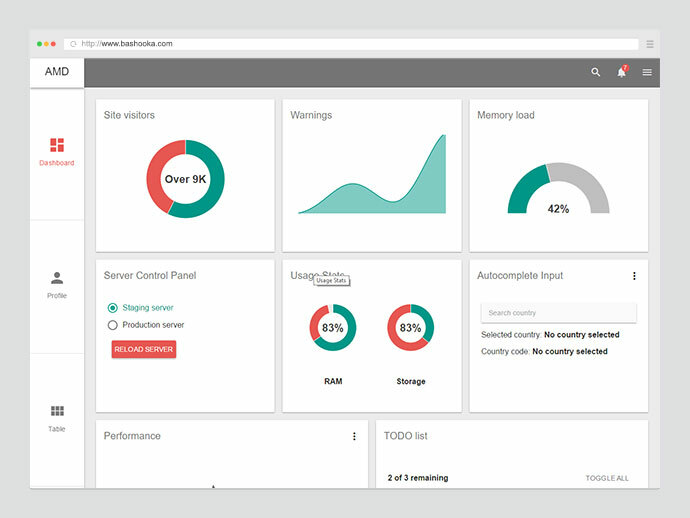 Open source dashboard theme built in a modular way. That makes it extremely easy to scale, modify and maintain. 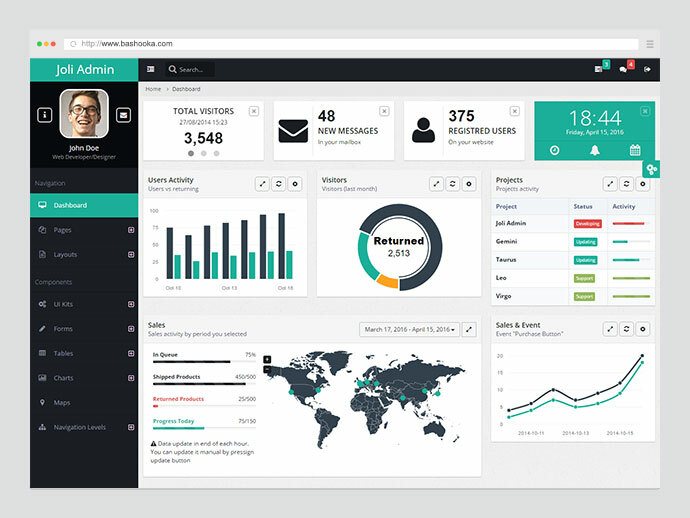 Admin template made by Akveo team. 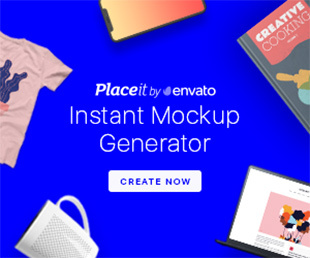 They put a lot of efforts to bring together latest and the most trending web design approaches, while creating this template. Every color, character or image was carefully selected by team to provide the best experience possible. 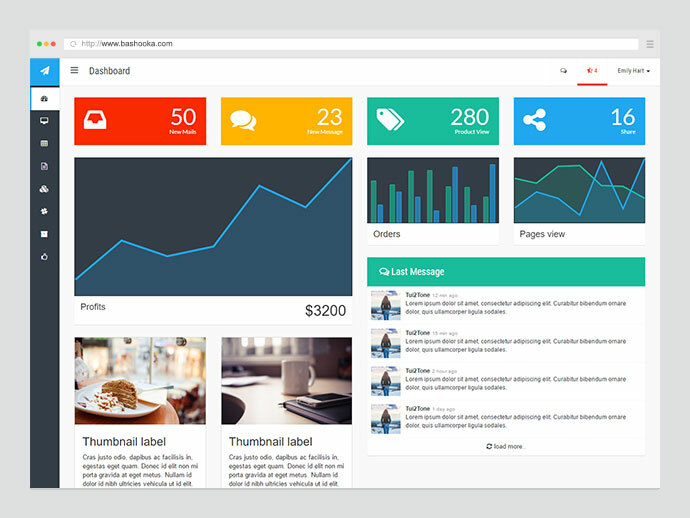 Responsive admin dashboard with material design based on Angular Material. 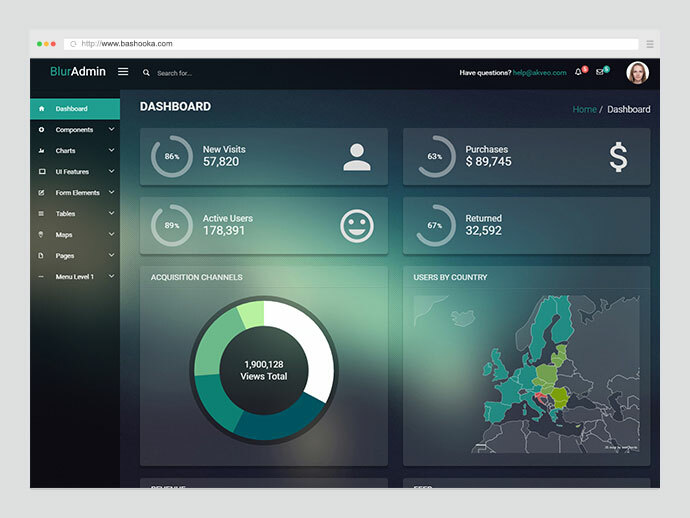 Admin dashboard template designed to be beautiful and simple. 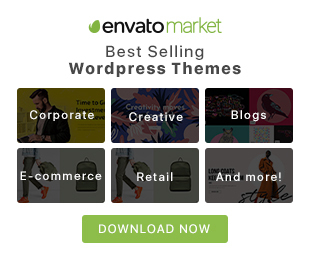 It is built on top of Bootstrap 3 and it is fully responsive. It comes with a big collections of elements that will offer you multiple possibilities to create the app that best fits your needs. 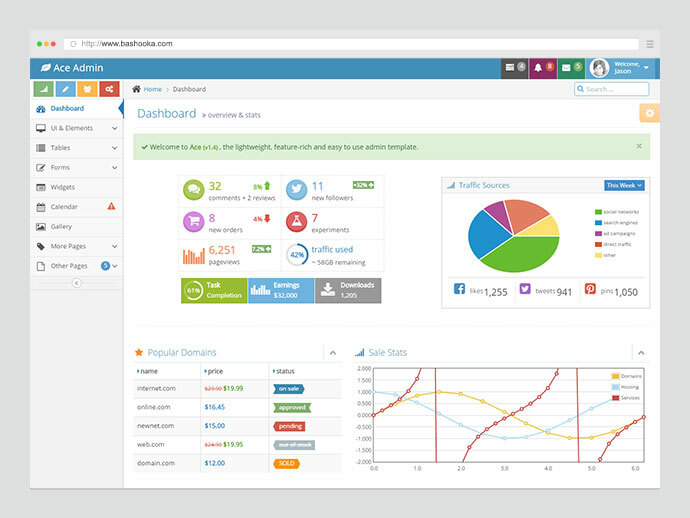 It can be used to create admin panels, project management systems, web applications backend, CMS or CRM. The framework contains the services and directives to render the dashboard. The dashboard can be installed with bower. 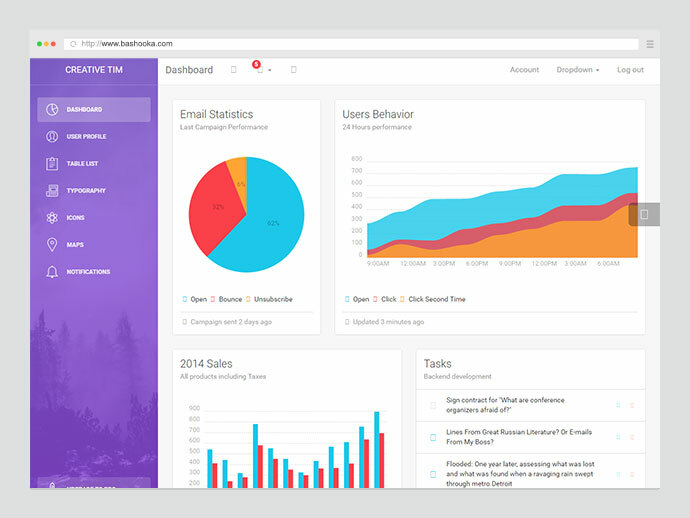 Completely free bootstrap administrator templates with Bootstrap 3. 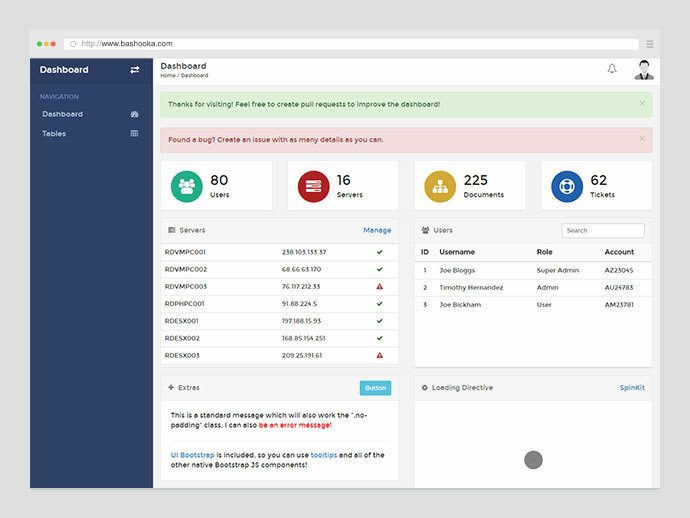 Lightweight and feature rich admin template which is clean and easy to use. 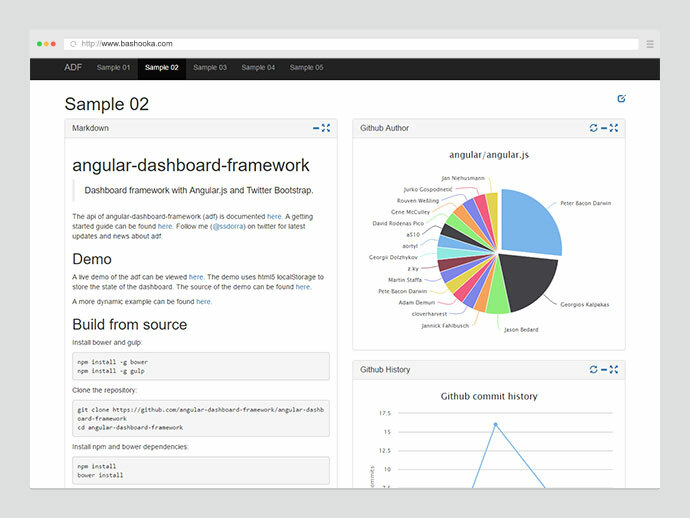 Free admin template/Dashboard/Web App based on Angular JS. Its is responsive template means it is compatible with smart devices like tablet and phones as well.It is very easy to use and customize according to various requirements.